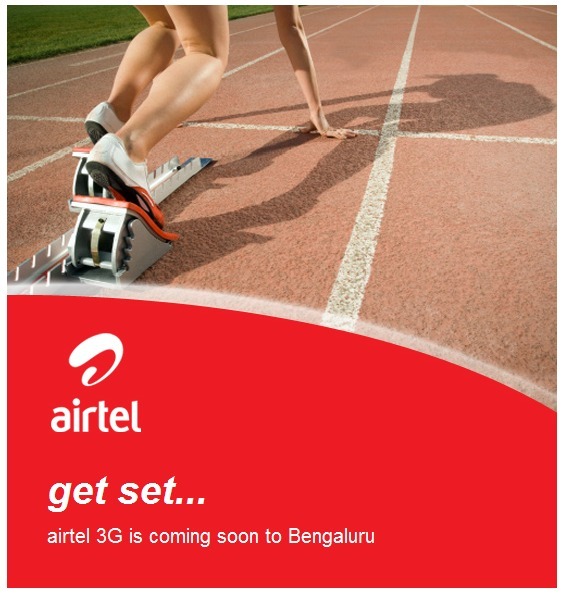 This morning, I got this email from Airtel Communication notifying me that 3G services have launched in Bengaluru. I called them up immediately to find out the details. They have plans starting from Rs. 100.00 a month for 100KBMB of data (which is a joke, considering my iPhone used that much data in about 10 minutes one day) going all the way to Rs. 750.00 for 2GB of data use per month. No unlimited usage plans are available, although there is a plan called “Flexi Shield” which provides 1.25GB of free data per month after which the charges will be at the rate of Rs. 0.10 for every 100KB till you reach a cap of Rs. 2000.00 after which your speed will be throttled to 20kbps. Don’t bother visiting their website, tariff details are not posted there. For tarrif details, click on the 3G packs link on their website. 3G service is limited to Bengaluru only for now. Expansion in the works.